Instagram worthy #projectbags. We will be sewing and/or embroidering one new bag each month. This class combines machine embroidery and basic sewing techniques. Requires 1 placemat and 1 yard of coordinated webbing. 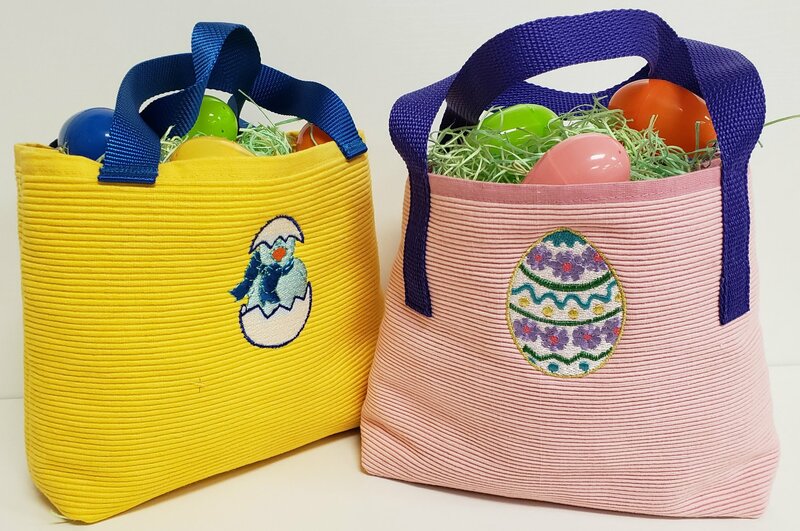 There will be a variety of easter designs to pick from and embroidery threads available. Sewing machines and embroidery machines will be available for use or you are welcome to bring your own. We welcome beginners. Class Fee does not include placemat or webbing.